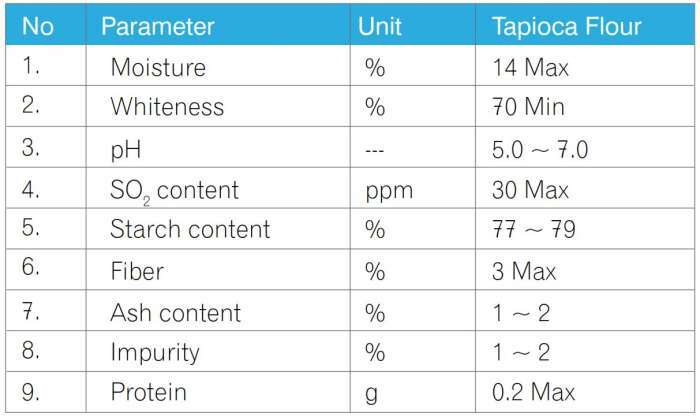 Tapioca Flour: NTD Tapioca Flours are produced on a production line with the same tapioca starch. So it is the same with Food-grade starch. Application: used in making bread, food, the processing iron industry, animal feed and other processing industries.